April 14, 2019 4:21 pm. TJ Smith Stakes winner Santa Ana Lane will need a new rider for Hong Kong with Mark Zahra suspended. Star sprinter Santa Ana Lane is on track for his first overseas appearance in the Chairman’s Sprint Prize in Hong Kong but will need a new jockey with Mark Zahra suspended. 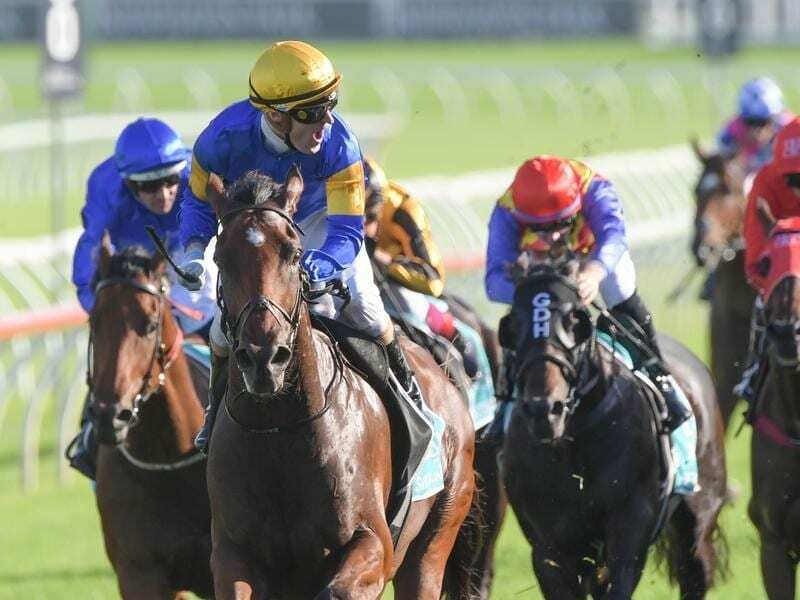 The Anthony Freedman-trained gelding claimed his fifth Group One win when he dominated a field of Australia’s top sprinters in the $2.5 million TJ Smith Stakes (1200m) at Randwick eight days ago. The Chairman’s Sprint Prize is on April 28 with a decision yet to be made whether Santa Ana Lane continues his travels to take in the Royal Ascot meeting in June. Freedman said Santa Ana Lane had come through his latest big race win well. “He is booked to fly on Monday week to Hong Kong. Fellow Australian sprinter Viddora is already in Hong Kong in preparation for the Chairman’s Sprint Prize. The Lloyd Kennewell-trained Viddora finished fourth in the Group One Al Quoz Sprint in Dubai in her most recent start and is also slated to go to England. The Diamond Jubilee at Royal Ascot in June is an option for Santa Ana Lane after the Hong Kong race. “I don’t want to jeopardise The Everest,” Freedman said. “And if it was the UK, I’m thinking it would only be for one race. The Group One July Cup is three weeks after Royal Ascot. TAB Fixed Odds has Santa Ana Lane as the $5 favourite in its futures market for this year’s $14 million Everest in Sydney in October. Santa Ana Lane was beaten on a heavy track in last year’s Everest at Randwick having won the Premiere Stakes at the same track two weeks earlier. After the Everest he won the Group One VRC Sprint Classic at Flemington and produced a dominant display to add the TJ Smith this campaign. Zahra was outed for his part in a two-horse fall at Randwick on Saturday. He was suspended for 25 meetings and fined $3800 for causing interference aboard winner Power Scheme in the Kings Of Sydney Sport Mile. Zahra pleadedguilty and will begin the ban on April 23.